Priyanka Chopra shares a wonderful family picture amidst divorce rumor with husband Nick Jonas. 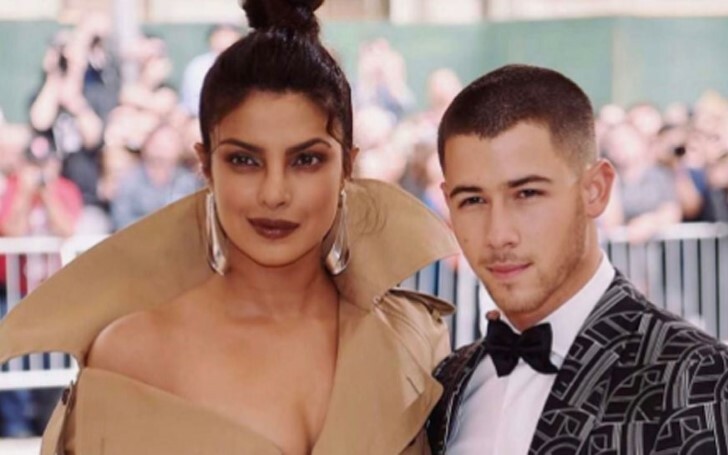 The newlywed couple Priyanka Chopra and Nick Jonas tied the knot last year in December, and whilst it hasn't even been four months since their lavish wedding, many tabloids speculate the couple is moving towards divorce. What? Only last week, numerous news reported the Bollywood actress was falling out of love, constantly arguing, and struggling to keep up her marriage with her husband that it led the couple into consideration for a divorce. The news didn't stop there, it also claimed the couple was regularly fighting over different work schedule, partying, the constant requirement of traveling to different parts of the world due to work including Priyanka's regular travels to her home country India, and mostly arguing over not being able to spend their time together. Nick Jonas and Priyanka Chopra rumored to divorce. Furthermore, an alleged close source also told news outlets that family planning was also one of the sensitive topics the couple regularly argued over. As Chopra is already in her mid-thirties, she wanted to rush things and become parents already. However, as for Nick who is in her mid-twenties, he wants to take things slow and enjoy his youths without getting involved with children responsibilities. On the other hand, Nick's parents, Paul Kevin Jonas and Denise Miller-Jonas too seemed fed up with the constant quarreling of the couple that they stood in the favor of the couple's split. As a matter of fact, Mrs. Jonas, who seemed worried for his son also urged the 'Jealous' singer to file for the divorce as quickly as possible. The fallacious contents also went on insisting both Nick and Priyanka marriage struggle also had to deal with the matter on how they immediately jumped into marriage within the short span of the time since they started dating, further explaining that the pair should have given more time to get to know each other. Not to mention, how these shameless reports also wrote that the 26 years old singer then started becoming over controlling towards his wife that he would become picky and sometimes even stop allowing Priyanka to work on new projects. It's also claimed he started becoming suspicious and insecure over her whenever and wherever Priyanka would go without him. Meanwhile, Priyanka's Instagram activities tell something else. In fact, by looking at her recent IG posts, we can fully confirm that all these news are nothing but fake pieces of stories that these publications came up with to sell out their papers. Proving all of this news wrong, the 36 years old former beauty pageants diva just posted a series of family pictures with her husband and brothers-in-law, Joe Jonas, and Kevin Jonas. 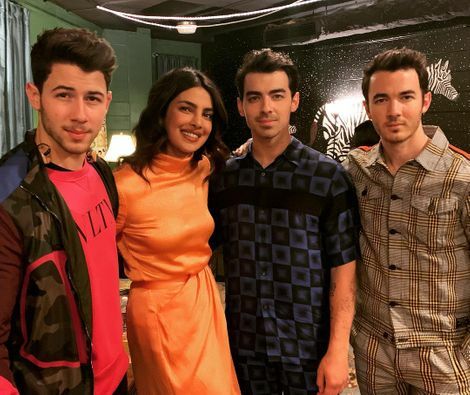 Priyanka Chopra attends her first Jonas Brother's concert. It's also come to our knowledge that the pictures come from the night of the recent Jonas Brothers concert and that it happened to be her first time seeing the band perform on stage. Chopra's in-laws, Paul and Denise, the youngest brother in law, Frankie Jonas, 18, were also there to accompany her. 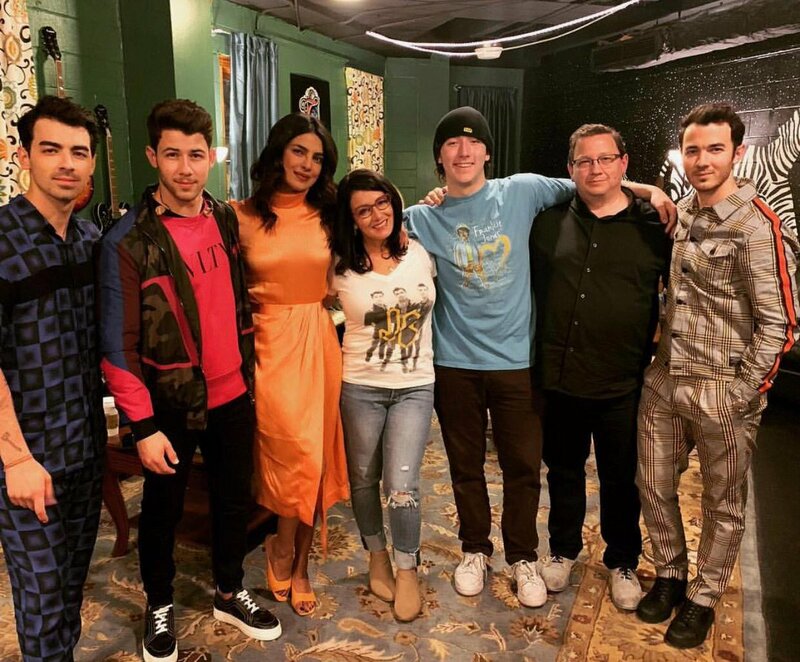 Priyanka Chopra accompanied by her in-laws for her first Jonas Brother's concert. In addition, only last weekend, as we reported the beautiful couple vacationed in Florida with family members; Kevin, Joe and Joe's fiancee Sophie Turner. The stars shared a few glimpses of them partying on a yacht on social media. Priyanka shared a selfie on Instagram that showcased the actress giving a slight kiss to Nick, writing: "Making hay while the sun shines.." in the caption. Likewise, Nick as well posted a picture from the trip with a caption that read: "You are my sunshine my only sunshine." So, chill out, guys. Ignore such gossips and rumors because, obviously, they are completely false. Glamour Fame can guarantee on the news because Nickyanka is still happily married and in fact, more in love than they were ever before.